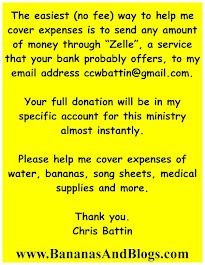 If you would like to donate to this ministry, please click here to visit my web page. There's a mystery between the sin and the cell that we are ALL missing! Somewhere between the sin, that is to say, the inappropriate action of the man who sticks that needle in his neck or that woman who engages in that "date"
the human body's determination to vomit or burst forth with uncontrollable diarrhea if it doesn't get its "medicine" there is a process happening or an ingredient stirring that none of us, not theologians nor pastors, not medical people, nor law enforcement, nor government officials who create public policy are grasping. What causes a beautiful, tall, slender, blonde and deeply devout Christian woman in her 20s who expresses her Faith through her Roman Catholic roots by attending Mass almost daily to push aside her Faith, even through tears, to allow the growth of bad injection abscesses and to "humiliate" herself multiple times in one night for the sake raising funds for the obtainment of her medicine? Answer that question and you'll be the first to identify what we're ALL missing between the sin and the cell! What causes a once law-abiding man to take up shoplifting or home burglary for the sake of obtaining money for his medicine? What causes a woman to sacrifice her parental role and relationship with her newborn or any of her young children so as to stay in relationship with her medicine? What causes a pastor to leave his pastorate for the safeguarding of his sin? There are cells in the human body that tell the body how to digest food and how to have a bowel movement. Other cells keep headaches from happening while other cells keep you feeling as though your skin is part of your body. When the body of the addicted human doesn't get its medicine, all those cells protest in the only way that each team of cells knows to do. Digestion cells tell the body to vomit while other cells on that team protest with uncontrollable diarrhea. Headache-control-cells give the order to do whatever is necessary to make the head explode. Cells that hold the skin in place seemingly let go. These cells are doing nothing wrong. They are doing what they were created by God to do. Cells have no sense of morality nor measure to regulate themselves in such matters. They are just doing what they do and responding to what they know and all are designed to do so by the One who created them. So what is it that causes the human being who has been formed in the image of God to avoid these miserable experiences at the cost of their beauty, their children, their pastorate, profession, vocation, and reputation? What causes that man to flush a million dollar business, that nurse to give up her childhood dream of service to the sick and suffering? What kind of pen gets into the hand of the architect who redraws the design of his dream for the sake of his syringe? What causes the honors student or high school star athlete to risk jail and STDs for the intake of their medicine? What makes so many of them endure sub-zero damp temperatures under a bridge so as to stay in the neighborhood near their blue packets of white powder? What makes a man or woman willing to endure body cavity checks and other humiliations of incarceration for the sake of maintaining the opportunity in freedom to commit their sin? Answer those questions and you'll be the first to identify what we're ALL missing between the sin and the cell! With some form of cold knocking me out for the past couple of days, I've turned my blog over to the lyrics of Casting Crowns' song "Does Anybody Hear Her." This song sums up so much of what I've been experiencing in this relational ministry with the good people of Emerald City and its neighboring bridge communities. I'd like to write more but I'm shaky and my pillow is calling me. To ride in and save the day. My Interview with GRIP TV about the Needs of the Good People of Emerald City and Similar Communities. In early December 2017, GRIP TV approached me about doing an interview for their weekly show. This is airing every Sunday through January on their station that is available on Philadelphia based cable providers. Two residents of Emerald City offer their insights on related issues as does a pastor and his team who were visiting and serving during the interview. Relational Ministry: I can't Imagine Any Other Way to Do This! An experience this week serves as a great example. I would love to tell you the specifics of this example but to do so would break confidentiality. Let me share this story from the addicted person's side of their burnt bridge. Burning the bridge between the family members of an addicted person and the addicted person themselves happens in three basic ways. The family has had enough of the behaviors of the addicted person and burns the bridge or the addicted person ends all family relationships so as not to be an embarrassment to their loved ones. The third way is a blending of the first two. The true story that I'm writing about here and now without actually telling you the story has its roots in some combination of those three ways. The one loved one who remains on this addicted person's side of the burnt bridge contacted me this week to see if I'd seen or heard from her. I hadn't and I too was concerned. In almost the same moment, in what I call a God-incidence, our addicted mutual friend called me to say she had been hit by a motorcycle and her leg was injured. She asked me to take her to the emergency room. A couple hours later, the three of us sat together in a hospital waiting room. Our addicted friend sat between us. We did all we could to remind her and to help her know that she's loved and cared for on her side of the bridge.